In a recent Daily Telegraph interview with Oliver Thomas Director of BUPA’s UK care homes, he highlighted the importance of ensuring that people have a Lasting Power of Attorney in place. This is to ensure that your finances and general welfare will be handled by someone you can trust, should a time come when you are unable to make such decisions yourself. He noted that these arrangements are vital to avoid distress and complications for family members in the event of dementia or other conditions that prevent someone dealing with their money. Mr Thomas explained that illness “can creep up very suddenly”, potentially leading to distress for relatives if plans are not in place. He told the newspaper that conditions such as dementia can leave people unable to make simple financial decisions, sign cheques or remember PIN numbers. “Unless you legally nominate someone by signing a Lasting Power of Attorney, your assets can be frozen and may be managed by the Court of Protection. It can all add up to a lot of time, effort and extra stress just at a time when a family may be distressed at a loved one’s illness,” he said. 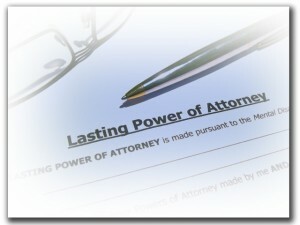 Under the Mental Capacity Act 2005, Lasting Power of Attorney can be established to manage not only the finances and property of someone who has become incapable, but also to make health and welfare decisions on their behalf. According to the Alzheimer’s Society, a trained and experienced legal adviser is important when preparing Lasting Power of Attorney. This article is intended for general information purposes only and shall not be deemed to be, or constitute legal advice. Newnham & Jordan Solicitors, in Wimborne Dorset, cannot accept responsibility for any loss as a result of acts or omissions taken in respect of this article or any external articles it may refer or link to. Horses For Loan ~ Do I need legal advice?